There are many styles of Martial Arts; we are honored to teach one of the oldest and most respected styles in the world today, Karate. In saying this welcome to our adult class, we focus heavily on Self-defense, Fitness, and Fun. We understand that the inactivity level of Americans is at an all time high. With this in mind our work outs are formatted for every individual. Come on in and enjoy our upbeat high intensity class for those who want to put off weight, sculpt their body, or simply maintain fit. Our methods of training combine state of the art science as well as ancient techniques proven to improve the quality of your life. Find out why the Japanese and Chinese life expectancy is generally 5-10 years greater than westerners. Did you know that in martial arts when you kick you burn up-to 13 times the amount of calories compared to most exercises. 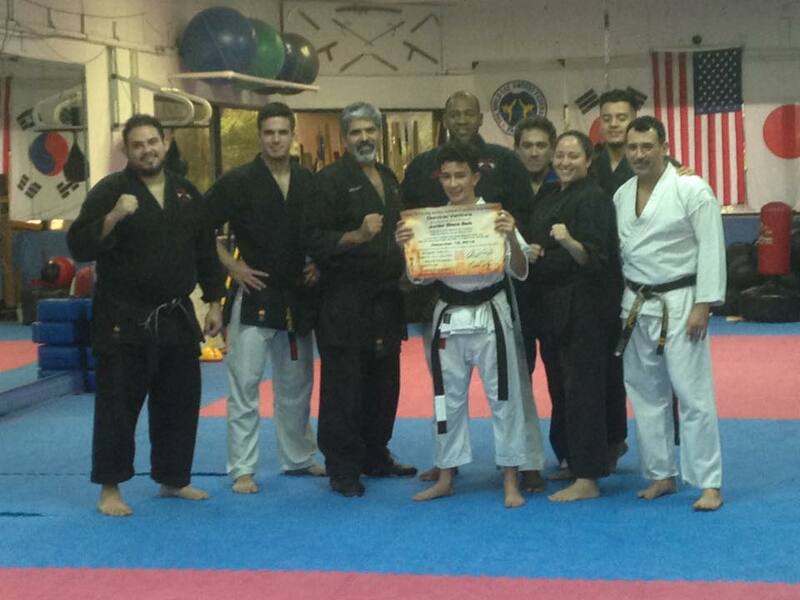 We format our classes for the individual regardless of age or condition; we train considering your health. Our sole purpose is to elevate you, come on in and sculpt your body. Are you tired of working out at the Gym by yourself, come in and do a class with friends we’ll motivate you that’s a promise. Don’t procrastinate any longer start Today! Oh boy lets talk! Karate is a science of self-defense invented to defend one’s life, family, and honor it’s that simple. Why is Karate such a superior form of self-defense?Very simple, the style that is taught is Goju-Ryu a very respected and ancient form of self-defense. One of the Original styles of Karate, our style teaches circular and semi-circular movements; as well as soft and hard techniques that specifically teaches defense against a larger and more powerful opponent. These techniques are based on physics and science that will help anyone defend themselves; this is specifically helpful with women and children. These techniques include but not limited to small circular joint manipulation, pressure points, and circular blocks, open hand strikes and techniques. Karate is rich in history and tradition that is still respected and practiced today. In addition we also teach Mixed Martial Arts. All ranks and certifications are in Karate under the World Sansei Goju-Ryu Organization which has schools around the world. The Masters at the FMAA believe that Martial Arts is a science and like all science it’s an ever evolving process. For this reason other styles are taught, Boxing, Muay Thai Kick Boxing, Taekwondo, Ju-jitsu, and Grappling. So if you’re a fan of the UFC or Pride come on in and try one of our classes.